In a January 5 article, MSNBC noted that the personal stories in many of the amicus briefs were meant to combat the generalization that women systemically regret their choice of abortion and suffer “severe depression.” Beyond influencing Kennedy, the article also said that the briefs challenged the stigma and backlash surrounding abortion that “persist in society and in state legislatures. She goes on to quote MSNBC as reporting that “a task force by the American Psychological Association reviewing the actual research found that adult women who have abortions are at no greater risk of mental health problems than if they chose to give birth,” and argues that the “sheer volume of women” relaying positive abortion stories in the briefs proves that “post-abortion syndrome” is a sham. While we find no reliable data to measure the phenomenon, it seems unexceptionable to conclude some women come to regret their choice to abort the infant life they once created and sustained. Severe depression and loss of esteem can follow. “Some women.” “Can follow.” So Kennedy didn’t even make any sweeping generalizations about the percentage of women who suffer psychologically from abortions. All he did was recognize the possibility—which is obviously true. Even a handful of regretful abortion experiences is enough to fully vindicate him here. Second, these briefs are personal stories from individual women—in other words, purely anecdotal. They’re not data that tells us anything conclusive about the majority of abortion experiences. I don’t doubt there are a great many women who feel positively about their abortions and never have a single twinge of regret about them. But we know there are also a great many women with the opposite reaction, with scores of their stories collected by groups like Silent No More, Rachel’s Vineyard, After Abortion, Abortion Recovery International, and Abortion Changes You. No amount of feel-good abortion tales can somehow prove that the negative ones don’t exist or don’t matter. The samples of studies introduced to the reviews were either overly broad, “resulting in incorporation of results from numerous weaker studies,” or the studies were too specific, resulting in unjustified elimination of sound studies.” The review from the American Psychological Association, the largest literary review, illustrates both of these problems: the criterion that was chosen for the study with a comparison group was only a report based on provisional research on induced abortion “with at least one mental health measure in peer-reviewed journals in English on US and non-US samples.” However, non-US samples were completely evaded for another type of study (which lacked a comparison group) without any sufficient reasoning, so dozens of relevant international studies were disregarded. We have also identified similar shortcomings in other studies purportedly proving abortion’s mental harmlessness, such as a much-hyped one out of UC-San Francisco. Cassy Fiano exposed this one as focusing on three-year windows before which longer-term fallout would have manifested, and having a sample group disproportionately consisting of people favorably disposed to abortion. 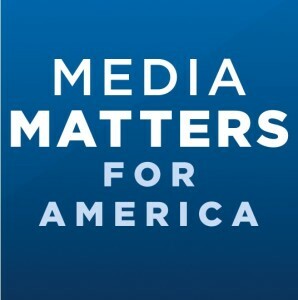 So no, Media Matters, neither you nor these amicus briefs have discredited our concern for what abortion does to women’s psyches. Its effects are very real and statistically significant. However, the fact that we’re having this discussion at all shows how far the abortion lobby has fallen from its professed feminist ideals. In a sense, it shouldn’t matter how few women suffer emotionally from their abortions. If these people were really feminists in any historic sense of the word, wouldn’t the possibility of even one woman being mentally or emotionally tortured be enough reason for our abortion regulations to at the very least ensure they are fully informed before making that choice?